FEEDBACK Be sure to give feedback on all of your previous TpT purchases. That feedback means so much to sellers when they receive it, but along with that, all of the feedback you provide adds up, earning you TpT credits. From the TpT website: If you provide fair feedback on a $4.75 item, you will earn 5 credits. Every 100 Credits is worth $5 that you can apply towards future TpT purchases, but there is no need to wait until you have 100 to redeem them. 50 credits is worth $2.50, for example. PLAN AHEAD Be sure to load up your wish list and your cart ahead of the sale to facilitate faster shopping on sale days. Now’s a great time to think ahead to next year and make some plans for improving lessons and units over the summer. I know I’ll be working with several department members on curriculum this summer – will you? If so, now’s the ideal time to purchases those items that will help make that planning time efficient and effective. DISCOUNT CODE Once or twice I’ve forgotten to enter the sale code when I’m making a TpT purchase during a sale and checked out without getting the full 28% discount. It’s irritating, to say the least. I don’t want that to happen to you, so be sure to enter the code early on in the shopping process, and then double check to make sure that it is still entered before you check out. How on earth can you remember this step? Why not write down the sales code – THANKYOU 17 – on a stick note right now and stick that baby where you can’t miss it on your computer monitor on laptop screen. Let’s get all of the discount we can, right? 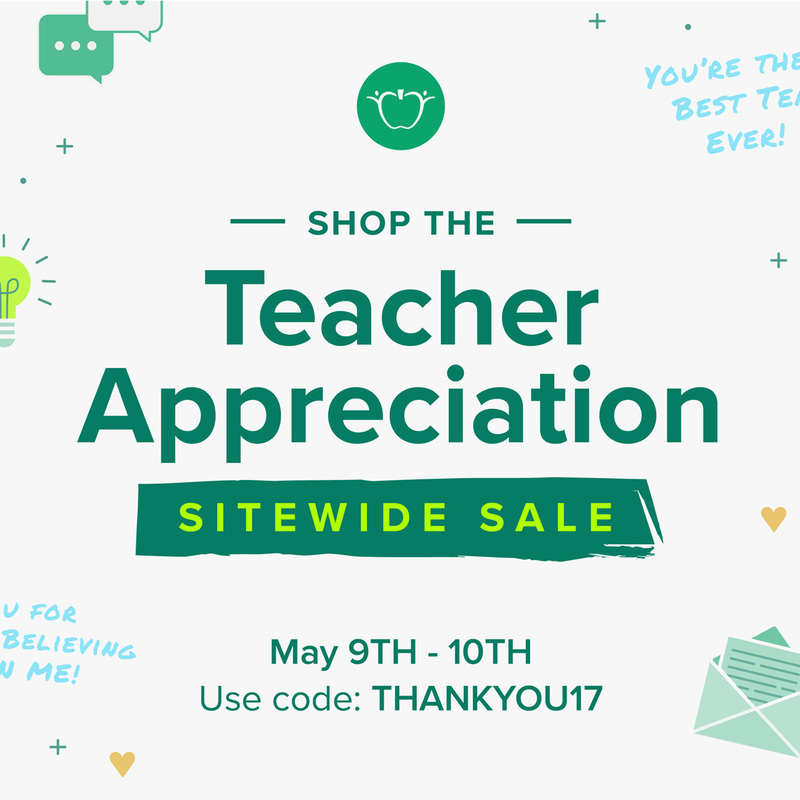 TPT GIFT CARD GIVEAWAY If you would like a chance to win the gift card I’m giving away, fill in the subscribe box with your email address and leave a comment with the number of days you have left in your school year and one thing you just can’t wait to do this summer. Just think–those glorious summer days will be here before you know it! I’ll notify the gift card winner on the night of the 9th. Good luck to all! We have 7 days with seniors and 14 school days with juniors. It’s always a bitter-sweet time of the year! I’m looking forward to spending time with my own children and hopefully trying to read something just for me! I agree, Mandy – it is bittersweet to send those seniors off into the world, many of whom we never see or hear from again. Enjoy them while you can. Enjoy your summer too. I always love that my summer reading does not include constructed responses and research papers! 17 more days and sleep in! For that first glorious summer day, that’s my plan too, Angela! Have a great last few weeks! You’re always such a great resource! I’m going to pass this on to a few teacher friends. Thank you for sharing this website with your teacher friends. I’m adding more resources all the time! Awesome site and materials!! Check it out…. SS offers some wonderful activities that save me tons of prep time!! One great time saver is the chart for organizing student IEP modifications. I keep one for each student in my class folders. I’m so glad that you like that IEP modifications chart and that it’s helping you keep those SDI’s and modifications organized.. I use them too and just referred to one at my last IEP meeting. Have a great summer! Thank you all for visiting and for your comments. I’m excited to share time-saving, creative, and effective ideas with you so please look for new posts in your inboxes. Enjoy these last few days (or weeks) of the school year, and have the best summer ever!